We absolutely love the name ANTI. It is unique and can be defined as anything you want. 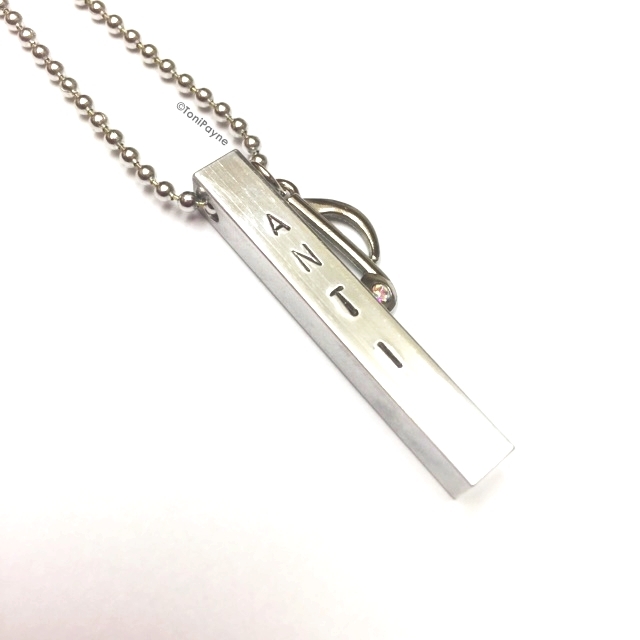 Get the inspired by Rihanna ANTI Bar necklace with chain.